I believe it's "Gendry's Warhammer". 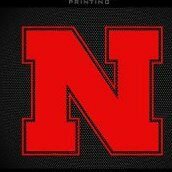 https://hailvarsity.com/s/6690/the-story-of-how-turner-corcoran-committed-to-nebraska The money quote: “I knew I was going to commit to Nebraska last Saturday after the Oklahoma visit. I knew it was home and where I wanted to be." I'm pretty sure his father would have tweeted about it 50 times. Congratulations, you've just described the recruiting process for 90% of kids being courted by Division 1 programs. Take a lap. Thanks, now my homeroom is wondering why I am cackling at my desk. Even if he did, it would still be better than TLJ. I still think I'm out on this, even with as much course correction as it seems JJ is going to do.